The Night Scout HD-TVI IR PTZ Camera is truly a game changer in Pan Tilt Zoom cameras. With the side panels that are made out of Titanium, this camera is intended for the outdoors. The 2 Megapixel PTZ camera delivers flawless daytime and nighttime video in 1080p. The Panasonic PTZ Module has 30X Optical Zoom Lens and a 12X Digital Zoom (4.3mm to 129mm which gives you a picture that starts out almost 59 degrees wide and can zoom in to slightly over 2 degrees wide). With the Image Stabilization feature, no worries about shaky video when zooming in tight on an object. With the Night Scout HD-TVI, you have the ability to control the camera thru a DVR, your phone, tablet, or any PC over a single coax connection. No need for a PTZ controller, RS485 control wires, Cat5/6, router, or switch required. The Night Scout has Panasonic’s version of WDR (Wide Dynamic Range) and can be turned on or off via the Menu. This will come in handy if you have the sun behind your subject or blinding reflections in your picture. This PTZ is a great way to light up the night. The large LED Infrared Lamps will shine out to as far as 820 feet on a moonless night, AND – The intensity is controlled by how far you zoom. The Night Scout HD-TVI PTZ Camera is one rugged camera. 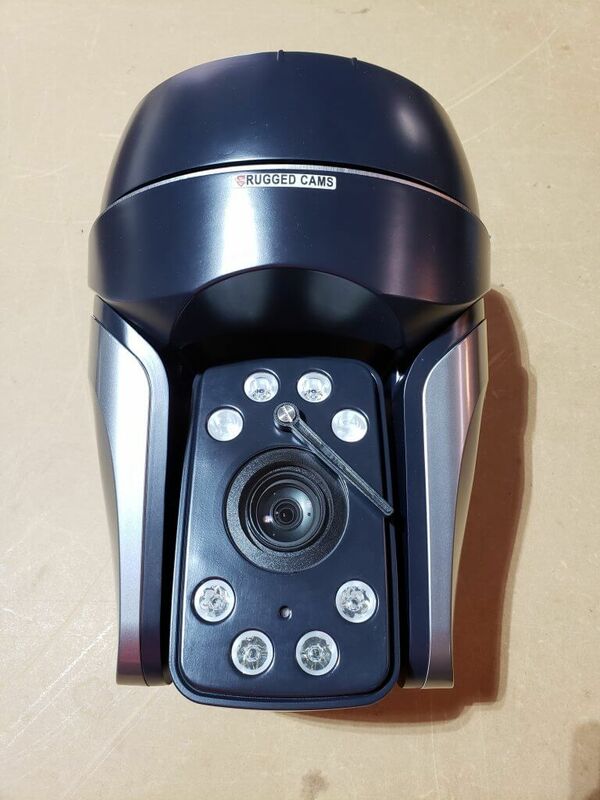 For more information on this camera and other HD-TVI products we manufacture, contact us here at RuggedCams toll-free at 866-301-2288 or on our website. This entry was posted in Blog and tagged infrared ptz camera, PTZ Camera. Scout TVI outdoor rated PTZ Camera.